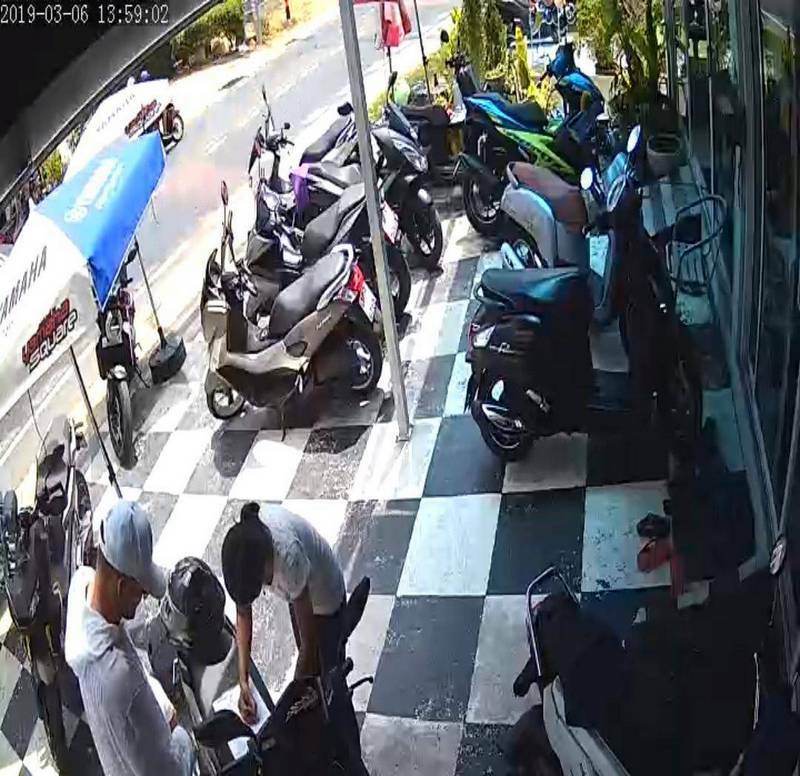 PHUKET: A motorbike rental company in Rawai is offering a reward for information that leads the recovery of Honda CB 1000 that was rented and not returned by a man who presented a Ukrainian passport, which the company now believes may be fake. 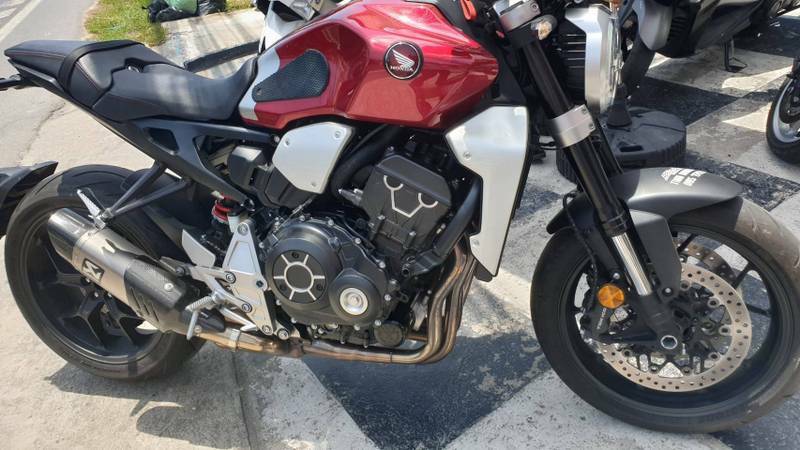 “We bought the motorcycle in December 2018. It’s a new model. 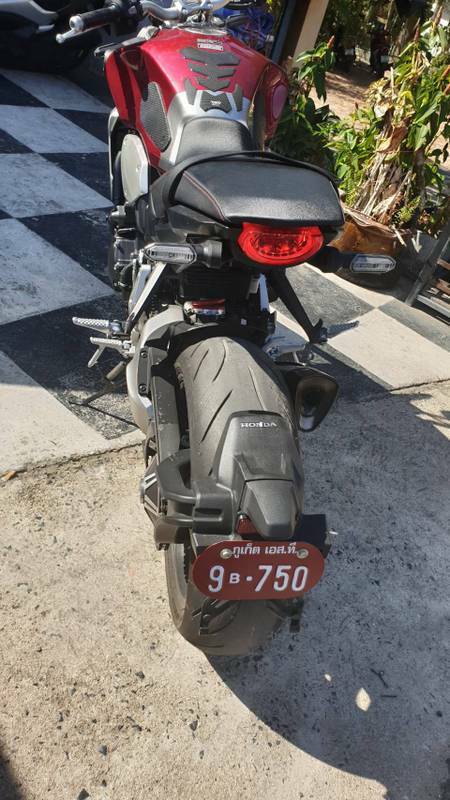 Very few of these have been bought in Phuket, probably less than 10, and this one is red, of which there are only two or three on the island maximum,” explained Frenchman Patrice Ardennes, shareholder of the rental company Thairoadways and partner of the company director, Inpoo Vorapitcha. “This Ukrainian guy rented the bike for three days (from Mar 6-9). He left his passport as deposit, signed the rental contract, paid the rental amount and went off on the motorcycle,” Mr Ardennes said. However, the man, identified by the passport presented as Dmytro Maruniak, 38, born in Moldova, failed to return with the motorbike. “On the 10th, we went and filed a complaint with the police, and on the 11th we went to immigration to block him from leaving via the airport,” Mr Ardennes explained. “We did this after we checked with the hotel he said he was staying at, and they said they had never heard of him. Also, the phone number he gave was not connected and his immigration departure card for his flight back was not even stamped,” he added. Mr Ardennes now also believes that the passport presented may be fake. “The passport seems to be a fake because it does not show a distinctive symbol in the background on the photo ID as an original,” he said. However, photos of the passport received by The Phuket News show that the passport was used by Mr Maruniak to enter Thailand on Jan 28 on a tourist visa issued by the Royal Thai Consulate in Kiev. Security images show the man entering the rental shop, but his face is obscured as he was wearing a cap and sunglasses. Mr Ardennes also believes that the rental theft was a professional theft, not just a chance one-off. “I think this carried out by a professional thief, or a group of professional thieves from eastern European countries that specialise in car theft,” he said. Phuket Immigration Chief Col Kathathorn Kumthieng confirmed to The Phuket News late yesterday (Mar 14) that the passport number in the “passport” handed to Mr Ardennes is genuine. However, he also confirmed that a man who presented himself as Dmytro Maruniak had already left Thailand via Phuket airport on Feb 27. The man was allowed leave Thailand after he presented an emergency travel document issued by the Ukrainian embassy, Col Kathathorn explained. Mr Maruniak told airport immigration officers that he had lost his passport, Col Kathathorn said. 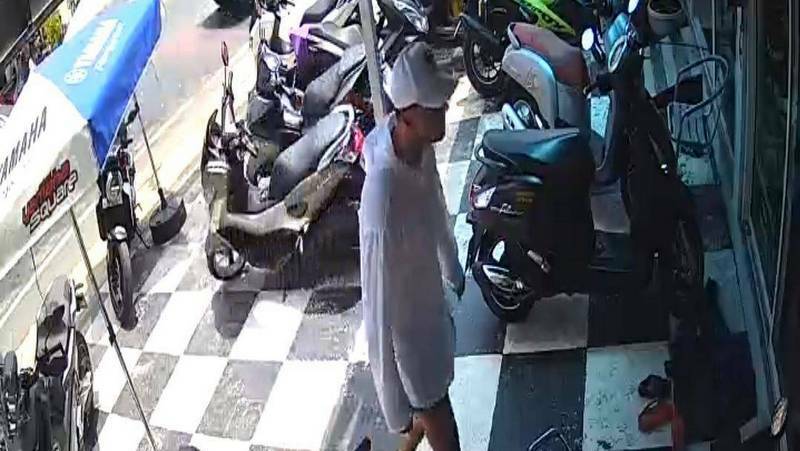 “The rental shop owners must report this to the investigator at Chalong Police and tell them to forward the case to Immigration,” Col Kathathorn said. “Then we can check CCTV and photos in the immigration database to see if the person who left Thailand is the same person as pictured in the passport. From there we can investigate further,” he added. So the real mr  Maruniak was here with a 30 days visa, lost passport. Left Phuket with a emergency travel document. Lost passport found/used by other person, who put a not stamped Dept card in it. Did the bike renter looked like person on passport photo? Poor rental shop, now it has to pay a fine for illegally holding a real (not fake) Ukrainian passport instead of a copy. Copy of Driving-License?? Ever asked about License? ?